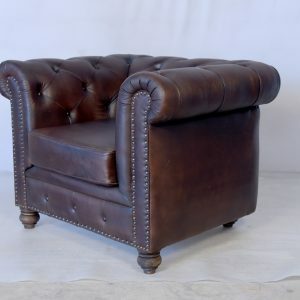 Akku Art Exports has been in business of manufacturing & exporting Wooden Furniture, Industrial (Iron) Furniture, Leather Furniture for the past 3 years. We give a unique creativity and a great quality of products to our clients. We have been an established and popular company with an excellent track record of the best customer satisfaction. We never compromise on the quality and the services provided to the customers. We believe in keeping the customers happy and providing them with products at a very competent price. We have an excellent staff who will guide you with their best ideas by keeping in constant touch with your company and informing about the market trends. 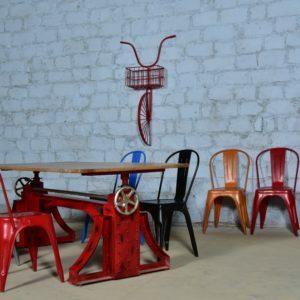 Akku Art Exports has the perfection in the field of vintage industrial furniture & unique wooden furniture. We dwell upon the unending desire of a person to evolve his surroundings. We give a wide range of products & a great quality of ideas to change your ambiance into something you always wished for. Our company has two separate manufacturing units for iron and wooden products. Then we have polishing & finishing department to give a finish to the products which provides the final great look to the furniture. We have a packaging department for the exact and proper packaging before exporting the products. 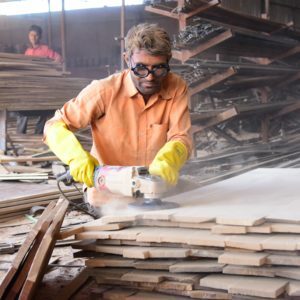 We properly process the raw materials used in the manufacturing, by giving all the required treatments to the woods & iron, to make it moisture free & rust proof respectively. We also provide the final quoting to the furniture products before exporting, to prevent any further pesticide or fungus attacks. 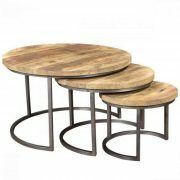 We use various types of wood for the wooden furniture. 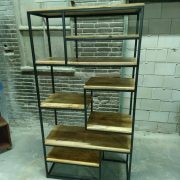 We use a great quality iron to build strong, long lasting & rust free industrial furniture. 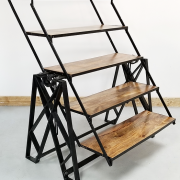 You can get the always dreamed loft furniture here in our store. 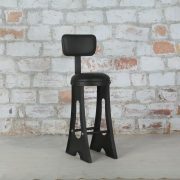 Design your interior with the beautiful & unique designed vintage industrial furniture. Make your dream ambiance by giving it an advanced look through great quality furniture!